a) The models with shock-corded bar-legs. All models in this group have legs with bars so it is easy to recognize it. The bars and the legs are interconnected so you cannot lose them, and setting the cot up and collapsing it is incredibly simple. b) The models with bow frame design. The BowFrame is patented design launched by Therm-a-Rest some 5 years ago, and you can see it used in their cots here in the list. This is a tension spring system with the cot’s bow poles designed to flex until the middle of the pole contacts the ground. The setup procedure for all cots of this type is the same. They are ideal for outdoor and indoor use. Can be used as leisure beds. Can be used under the tent and have a so-called tent-cot tool. Can be used as ambulance stretchers. As emergency tools at home or anywhere. On seaside vacation places and on beaches. These are great backpacking and hiking tools. 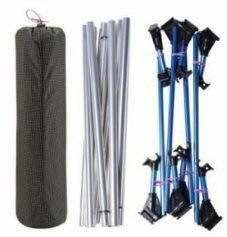 Great tools for summer festivals and summer camps. These are great gifts for anybody and in particular for those who enjoy going outdoors. Comfort. This is a matter of choice. As already mentioned elsewhere in the site, you lose 50 times body warmth to the ground than to the air. So by sleeping on the cot, you have air under you and you need far less insulation from below, if any. Hence, you save money on pads. You can put the tent on the cot, this is the basic idea about tent-cots. So with this, you save the tent from the ground, no issues with groundwater, and you do not need a footprint. Reasonable prices (for most of them). Typically these cots are short. 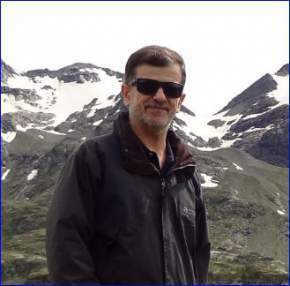 As you will see, the length is in the range 180-185 cm (71 – 73 inches). 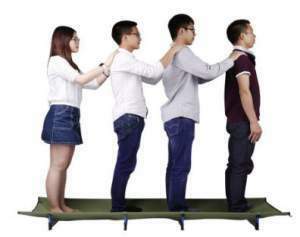 So bear this in mind if you are a tall person; you might want also to check my another text where you can see some longer models but slightly heavier. All models are without head and foot bars, this makes a lot of difference as you surely know if you have ever used such a cot, so these tools are really comfortable. The prices are truly reasonable for most of them, and the only exception is the Therm-a-Rest cot which is considerably more expensive. This is one of those cots with the bow frame design. The new version which you have here is with redesigned legs. 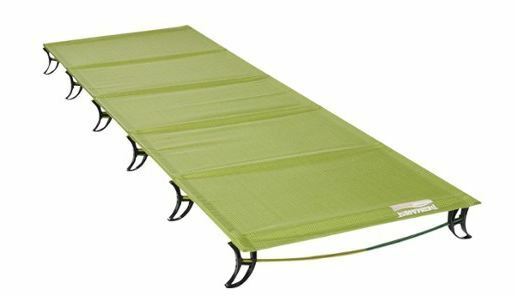 In one of its variants, this is currently the lightest camping bed on the market. The standard weight is 1.19 kg (2.625 lb) but you can also use it in the lightweight variant (with a different number of bows) and in this case it weighs only 2 lb (907 g). They build it in two different sizes. Note that you also have a thermal reflective coating. Please follow the link to see more in my full review. All cots presented here are ultra lightweight, and this Desert Walker’s Cot is one of the champions with its 2.6 pounds (1.18 kg). It is with a truly remarkable capacity of 440 pounds (200 kg). Desert Walker 2.6 lbs Ultra Easy Carry Lightweight camping cot. This is a very stable construction with for leg bars, so you have 8 points on the ground. The setup is extremely easy, in a couple of minutes literally, in particular after you practice a bit with it, and you need no tool for this. The bars prevent the bed from sinking into the soft ground, a good feature. You essentially slide the poles in the sleeves and attach the feet, all is self-evident. The cot is good enough regardless if you are a side sleeper or a back sleeper. The length is typical, but bear in mind it is 185 cm, if you are a very tall person. Desert Walker camping cot’s 440 pounds (200 kg) capacity. This is an excellent tool by all means, far easier to set up than some other tools presented here. It is nicely collapsible and packable and it comes with a nice carry bag. The Amazon price at the moment if writing this text is $135, I would say quite reasonable for such a tool. Capacity: 440 lb (200 kg). Dimensions: 73 x 23.5 x 6 in (185 x 60 x 15 cm). 7001 aerospace aluminum alloy poles and frame. Bed fabric: composite fabric, waterproof, tear-proof, and excellent ventilation. This is a 73 x 24 inches (185 x 61 cm) cot with an impressive 440 lb (200 kg) capacity and with the weight of 1.2 kg (2.64 lb) only. It is practically the same as the Desert Walker model above, with the same design which includes 4 bars with legs, so 8 points on the ground. My guess is they came from the same factory in China and are just sold under different names. The packed size of this cot is (W x D) 19 x 3.9 inches (48 x 10 cm). A nice carry bag is included. So clearly it can easily be carried attached to the pack or transported on a motorbike or in the car. The cot has received a few customers’ reports on Amazon, with the average rating 4.0 – 4.6/5, dependent on the seller. The current Amazon price at the moment of writing this text is in the range $105 -124. This is a nicely packable tool. All fits in a carry bag 48 x 10 cm. They all show images of this type, the cot is with a great capacity indeed. Easy setup with shock-corded elements. Dimensions: 73 x 24 x 6 in (185 x 60 x 15 cm). Color: Grey, Army Green, Purple. Bed bracket: 7001 special aviation aluminum. Bed fabric: composite waterproof and breathable fabric. A 15 cm ground clearance for a more comfortable sleep. Desert Walker Camping Cot 2.8 lb. This Desert Walker cot is a more recent version as compared to their cot presented above. Here you have a very similar design but it is slightly heavier, 2.8 lb (1.27kg). The dimensions are 72.8 x 23.6 inches (185 x 60 cm) and the packed size is (L x D) 19.6 x 4 inches (50 x 10.2 cm). So it is not particularly big and it should be best suited for women or for short people in general. This Femor cot is very similar to several of the cots in the list here, but it is also below the limit which I imposed for cots in this list. So it weighs 2.87 lb (1.3 kg), and the bed size is 79 x 24 inches (200 x 61 cm). Now you realize what makes it different, it is the length. This is a very long cot and you have the surface 1.22 m² and the area/weight ratio is 0.938 m²/kg and this is an excellent value. Please follow the link for more. Helinox Cot Lite 4 legs variant. • It is very easy to set up. • This is a sturdy and stable construction. • Bed size is 72.8 x 23.6 inches (185 x 60 cm). • The packed size very good 20.9 x 5.1 inches (53 x 13 cm). • This is a versatile item. • Ultra lightweight with its 2.87 lb (1.3 kg). This is a completely different concept from the group b) mentioned above, see the circular legs, ultra lightweight of course. All elements are separated, no shock cords except in the sidebars, and the setup takes more time. No need for any extra tool. YaeKoo Outdoor Super Ultralight and Portable Folding Aluminium alloy Cot. The poles which make the frame and bars are aviation aluminum alloy, the bed fabric is anti-tear PV oxford cloth and reinforced nylon . 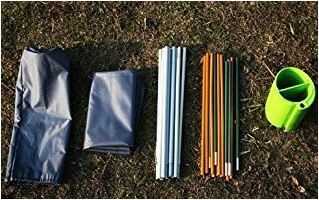 As the picture above suggests, all is nicely packable in the included carry bag which is of the size (W x D) 40 x 12 cm. So here again you have a tool which can be carried around even as a backpacking piece. The Amazon price for this cot is simply incredible, only $40. The average customers rating is very respectable 4.2/5. 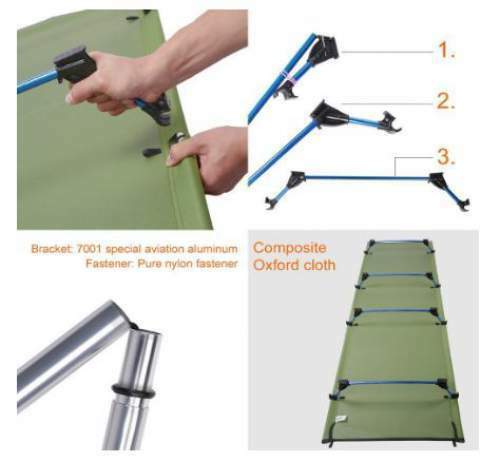 YaeKoo Outdoor Super Ultralight and Portable Folding Aluminium alloy Cot – elements. Weight: 2.87 lb (1.3 kg). Dimensions: 70.9 x 22.8 x 3.9 in (180 x 58 x 10 cm). Folded size: 40 x 12 cm. This cot is presented in detail in my another text as a part of a tent-cot combination. So please follow the link to see more. It weighs 3 lb (1.36 kg), and the bed size is 72 x 24 inches (183 x 60 cm). The capacity of this cot is 325 lb (147 kg). So to conclude these Ultralight Backpacking Cots Reviews, all the models belong to two distinct groups and this should be the first thing to know if you are undecided. The weight difference is practically negligible. The setup of those from the group a) is considerably faster and easier, this is yet another fact to bear in mind. But the YaeKoo model is from the group b) and it is with the price without a match. If you need standard camping beds for heavy people please visit this page. Note that there are double cots available as well, so have a look in my another text. So good luck in your search, I hope this text has been useful. Please let me know if you have any question or comment, there is a comment box below. Here below are links to all these models and a few more. Hi Erica. Zephyros 1 is 220 x 64 cm, and 92 cm peak height. So I do not think it would be easy to use such cots inside although some can fit. But you will surely have to prepare the cot outside. But you might want to consider using a tent-cot instead, this is a cot with the tent attached to it. The weight of such a sleeping system is below the combined weight of your tent and a cot. 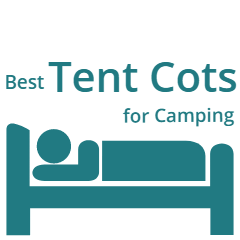 Please check this list with backpacking cot tents.